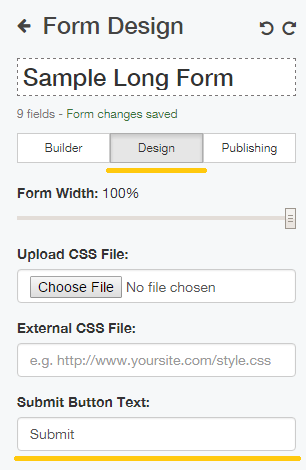 Enter your desired form (How to Access Form) and go into the 'Design' tab. Scroll down to where you see a box for 'Submit Button Text'. Type what you wish to appear on the button.